President George W. Bush on loss of Barbara Bush: "It's the end of a beautiful life"
President George W. Bush says it's the "end of a beautiful life" after the loss of his mother, former first lady Barbara Bush. Mrs. Bush died Tuesday evening according to a statement made by the office of George H.W. Bush at the age of 92. The family said Barbara Bush had decided not to seek additional medical treatment and instead sought comfort care at home. She had suffered from congestive heart failure and Chronic Obstructive Pulmonary Disease. In an interview with Fox Business Network's Maria Bartiromo on Wednesday, Bush said condolences were pouring in to the family and that he and first lady Laura Bush are "grateful for people's prayers and sympathies." 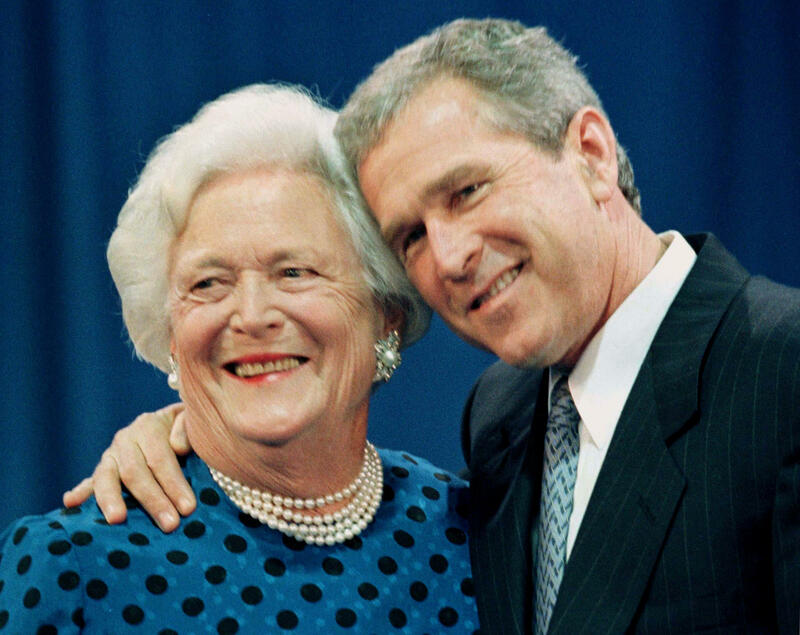 Bush remembered his mother as "warm and wonderful until you got out line, then she wasn't too warm and wonderful." Laura Bush called her "fierce" and a "great role model" as she became first lady herself. In her final days, Bush said his mother was strong, lucid and funny. "She and I were needling each other," he said, recalling a joke his mother told one of her doctors in Texas. "The doctor came in and she turned to the doctor and said, 'You want to know why George W. is the way he is?' And the doctor looked somewhat surprised. And she said, 'because I drank and smoked when I was pregnant with him.'" Bush added his father was "by her side when she passed, which is sweet." Bush spokesperson Jim McGrath tweeted Tuesday night that chief of staff Jean Becker said former president George H.W. Bush was "broken-hearted to lose his beloved Barbara. "Obviously this is a very challenging time. But it will not surprise all of you who know and love him, that he also is being stoic and strong and is being lifted up by his large and supportive family," the statement added. I always knew Barbara was the most beloved woman in the world, and in fact I used to tease her that I had a complex about that fact. But the truth is the outpouring of love and friendship being directed at The Enforcer is lifting us all up. We have faith that she is in heaven, and we know life will go on -- as she would have it. So cross the Bushes off your worry list. George W. Bush said that his mother "did not fear death" in her final moments and "as a result of her soul being comforted on the death bed, my soul is comforted."